This cat takes some old school spoken word and makes it fresh - with a clear eye on the Jazz greats and no apologies. 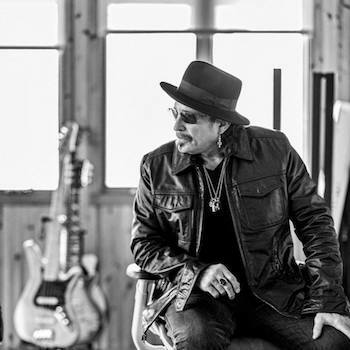 Tony Adamo has led a storied life, from the Navy to radio to acting to putting up billboards. When he met up with Mic Gillette and Skip Mesquite from Tower Of Power, he began recording and found a new groove: Free flowing spoken word. Tony writes his words down, and then does his piece on stage or in the studio, and the words are not the same. He has teamed up with Mike Clark for his new record, WAS OUT JAZZ ZONE MAD, due out on September 14th with a feature from Roger Smith. This is the poet as band member - sometimes singing, sometimes beat poet, sometimes a radio presenter, all in synch with the madness of the music. It's like a sport, where the ball can go anywhere and the players move in earnest. When it's right, it's nothing but graceful. WAS OUT JAZZ ZONE MAD pays tribute to the greats, to the players behind him, and to the art of improvisation. Are you spinning Mike Clark's Retro Report and the song, 'Chicken'. That cut is on my Ropeadope release 'Was Out Jazz Zone Mad' as 'Boogaloo The Funky Beat'. I added vocals and spoken word with Clark and his Retro Report crew backing me. Mike Clark produced nine of the 13 songs on my Ropeadope Record. May I send you a hard copy when It drops on 9/14/18? Be well. B most hip.